When I travel I give the airline my cell phone number as a point of contact for last-minute changes or cancellations. This is a case where I'm happy to give out a personal number so that I can know as soon as possible if there is a change of plans. But that doesn't mean that I want the airline calling me to let me know there’s a fare sale to a destination where I have previously traveled. 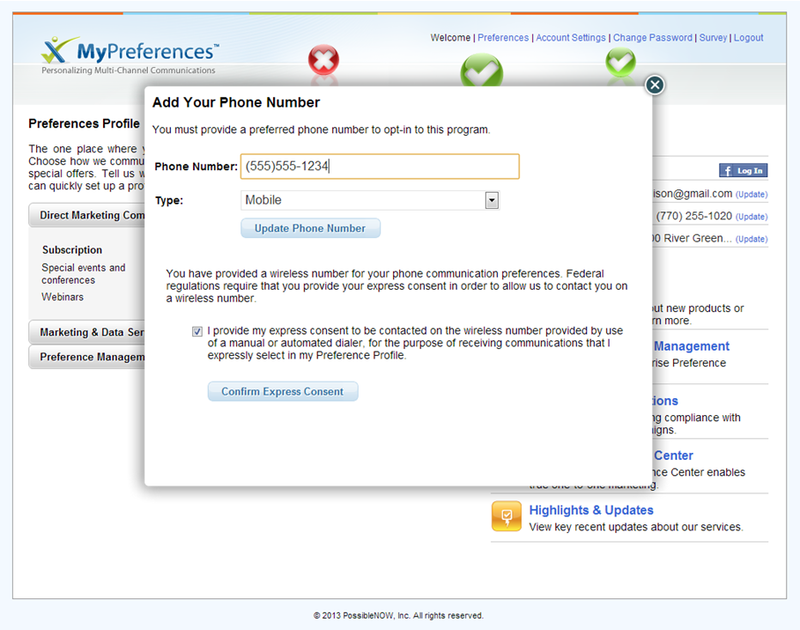 In other words, use of my cell number is on a conditional basis. It’s pretty common for a customer to provide a wireless number to a company for contact around a specific transaction, like an airline flight or other reservations. Or a customer may give a call-back number related to calls for sales or technical support. On the customer's part, there is typically an implied understanding that the number should be used only for that one transaction. In a few months, however, that understanding will become more defined. 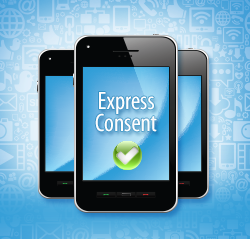 In October 2013, companies will have to obtain express consent for contacting customers via wireless device, for example by call or text message. It will have to be made clear to the customer how his number will be used. And even if a company has a customer’s wireless number on file from previous interactions, it does not grant the company permission to contact the customer via wireless in the future. The new regulations make it clear that the company cannot use that number as a customer contact point for other messages or solicitations without the customer’s express consent. This new rule is similar to the existing Do Not Call rules for landlines, with an emphasis this time on wireless devices. The rules impact pre-recorded telemarketing calls as well as text messages. Unlike the Do Not Call list where the preference is initiated by the customer and customers who do not opt out are fair game for contact, express consent to dial a wireless number must be obtained by the company prior to any contact. Because the regulation is new, companies have to gain consent from all customers, new or existing. One way to do this is to address the matter as customers are in contact for sales or service situations. Regulations require "written" consent from the customer, but consent recorded over the phone or opt-in or out via an online form will also be accepted. Companies are training their customer service representatives on the new rule and some are already moving forward with obtaining consent. We are working with companies to put these steps in place and recommend specific best practices, including language explaining consent and measures to ensure that a record of the customer’s preference is made, either via written consent or by telephone recording. Companies can also set up an interface within an existing preference center that allows customers to update their preferences online. There are various ways to communicate this to customers, including by regular email messages or newsletters that a customer has opted to receive, or through a prompt when a customer logs into his profile. For new customers, wireless consent will simply be one more step in setting up preferences on a profile. Within the online interface customers will be taken to a Preference Profile page upon login or when setting up a new profile. If the customer selects phone or SMS as preferred mode of contact he will be prompted to enter a phone number. When a wireless number is entered, specific disclosure language will be displayed and the customer will be asked to click a checkbox to provide consent. Note that the customer must opt in, unlike other preference profiles where the opt-in is automatic and the customer can choose to opt-out. We expect that there will be confusion on the part of companies, as well as customers, on how this new regulation will be implemented. We are currently testing new preference centers and tracking customer response and will be reporting case studies as the new rules get closer to implementation in October. Mike Madison is the Director of Product Architecture at PossibleNOW.